Update: Despite Nintendo listing Smite as a 2018 release and in its “new releases” section of the week, Smite will not be available to play until January. The pre-purchase option is live, however. See this post for more details. Original: Following rumors and leaks from datamining, the MOBA Smite has been officially confirmed for Switch. Nintendo’s European digital download report for the week lists it as a new release for November 16 – tomorrow, in other words. At least initially, Smite will be sold as a bundle on Switch. Nintendo lists it as having “200 Gems, 400 Gems + Smite Founder’s Pack”. Pricing is set at €26.31 / £23.69. Enter the Battleground of the Gods! 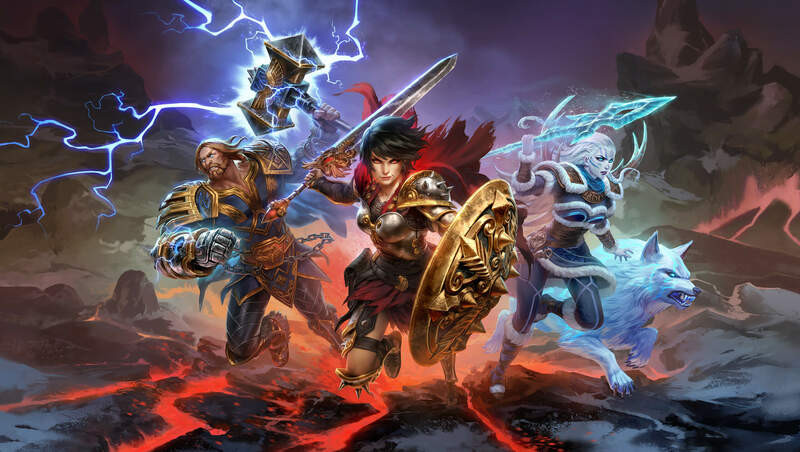 Smite is the multiplayer online battle arena that puts the power of the Gods in your hands. With an ever-expanding roster, new events, variety of skins, and biweekly updates, there is always something new and exciting in the Battleground of the Gods! Go Ahead, Play God-Jump into the action as one of over 90 Gods from Pantheons around the world.